Now standing beside Europe's most recognizable global cities, Barcelona has risen and emerged over the last decade nearing as popular a destination as London, Paris and Rome. The Catalonia capital has rivaled these three European capitals as an epicentre of architecture, history, art, restaurants, fashion, and with FC Barcelona winning their third Champion's League title in under ten years, surpassed all in football. Having always been a destination in Europe it was not until the 1992 Summer Olympics that Barcelona was able to develop the infrastructure to entice tourists to come and see everything the city has to offer. Prior, El Prat Airport only had one terminal and the arrival of the Summer Games brought much needed investment to open two more and give travelers the opportunity to fly into the city more frequently. A city that had chaotic transportation routes and it's share of unattractive neighborhoods was redeveloped and revitalized with improved traffic flow and most importantly a razed waterfront to put in a series of local beaches. 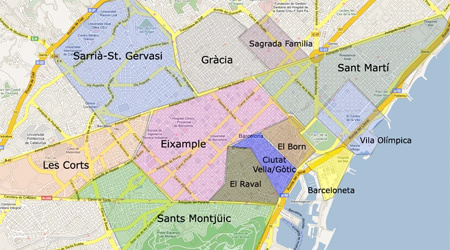 There are not many factors to consider when deciding what time of year to visit Barcelona. In fact there are often only two: Do you want to be there during the La Liga season or the off-season? Whichever you decide, there is sure to be beautiful weather, great food, plenty of football sights, and not a spare moment you could not be seeing incredible attractions, so many that more than a week or multiple visits cannot cover them all. Getting into Barcelona is very easy and should not be stressful if you plan ahead, are not shy about attempting some Spanish (or Catalan) and asking for help when needed. You can arrive overseas by plane or on the continent by plane, train, bus or boat. 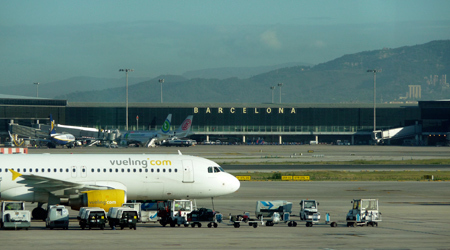 If arriving by plane (especially within Europe), with options of several times a day, it is important to make sure you are in fact flying into El Prat. Many discount airlines such as Ryanair will offer flights to Barcelona but actually fly into Girona which is a city roughly 100km to the north. You will be stuck taking a lengthy bus or train ride and if you need to be at your accommodations at a specific time, can end up in a tight situation. When flying into El Prat there are a couple of ways on how to get to the city centre. The most economical is to take the train and should you go this route it is important to correlate where you are staying with the nearest train station as there is more than one stop in the city. In the airport it is well marked on how to get to the train and once there you can either buy from the ticket agent or from a machine. There will usually be an employee of the train line (Renfe) in front of the machines to help tourists purchase the right ticket - all you need to do is tell them what train station you are heading into. Depending on which train station you get off at, there is a good chance you might still have to ride the subway or metro to get to where you are staying. The busiest station is Barcelona Sants (Sants Estacio) and should you get off here, will have easy access to the metro to get anywhere you need to go. Near the entrance to the metro station on the wall is a huge map of the subway lines and this is a good opportunity to take a moment to establish where you are and where you'll be heading to. Depending on what your age or interests are outside of football, there are several options of where you could stay. If outside of visiting for a game or just seeing Camp Nou you are young and looking for a fun time, staying in the heart of the city is your ideal destination. Neighborhoods such as El Born, El Raval or parts of Barri Gotic will provide you with ample restaurants, bars, stores and sights all within walking distance. If you are looking for a more laid back time and want to avoid the the busiest areas of the city, Eixample, Gracia, Sarria or even Barcelonetta could be ideal places that have a more local feel and fewer tourists. There are many different types of accomodations available in Barcelona from four star boutique hotels to a plethora of youth hostels. If your budget falls somewhere in between, what is becoming a booming market in the city is apartment rentals. Scrolling through craigslist under vacation rentals will give you a slew of options at various rates in literally every neighborhood.